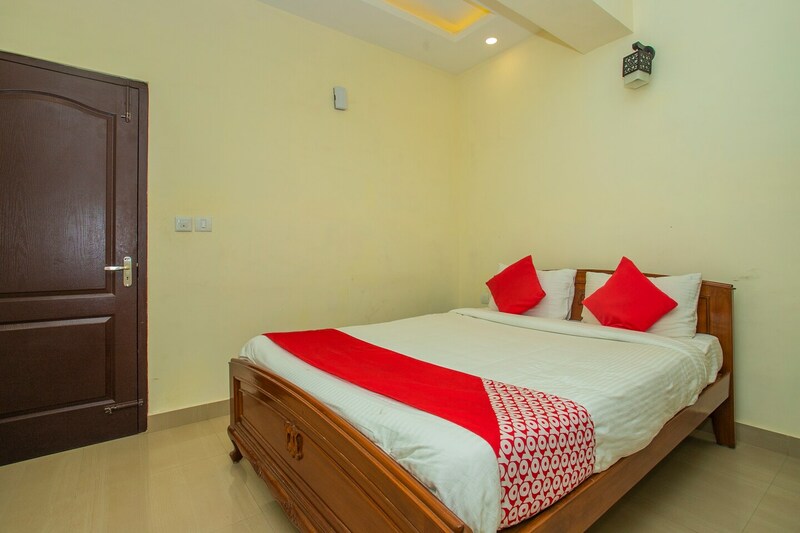 Enjoy your stay at Shrungara Rooms located on Kanakapura Road, Konankunte. The minimalistic rooms have a wardrobe, a chair and extra space to manage luggage. Security is also kept in check with the help of CCTV cameras within the premises. Essential facilities offered by the hotel are parking facilities, power back-up and a dining area. A banquet hall is also available for the guests to organize events. The plush in-house restaurant offers sumptuous meals to the guests, adding to their convenience.